With bellies full of tea and sausage sandwiches we kept all our paddling kit on and climbed into our bivy bags last night at around 12.30 am. 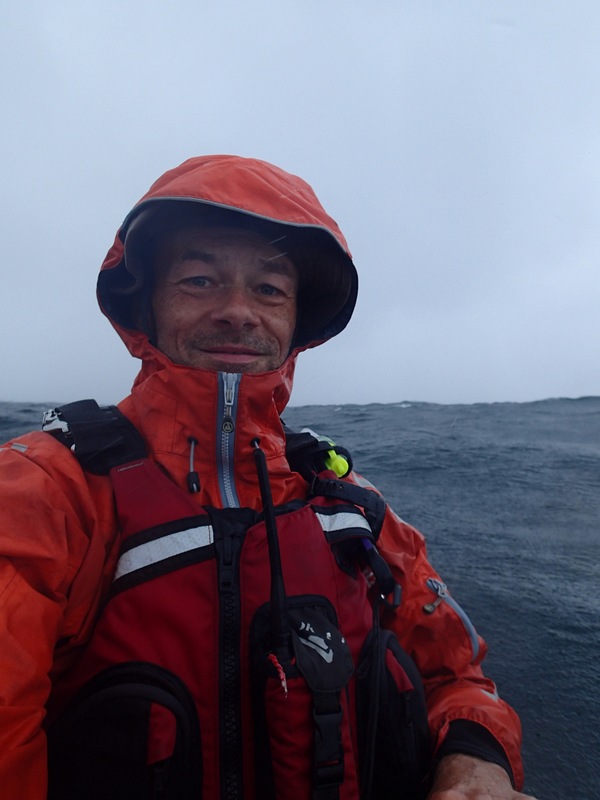 The forecast for our final day looked better – west south westerly F4 gusting F5 – a notch or two lower than it had been. We just hoped that by only leaving 31 miles we would be able to get the job done. We were up at 4am and on the water at 5am. That’s a total of 7 hours sleep in the last three days as we have attempted to paddle both ebb tides a day down this stretch of coast. 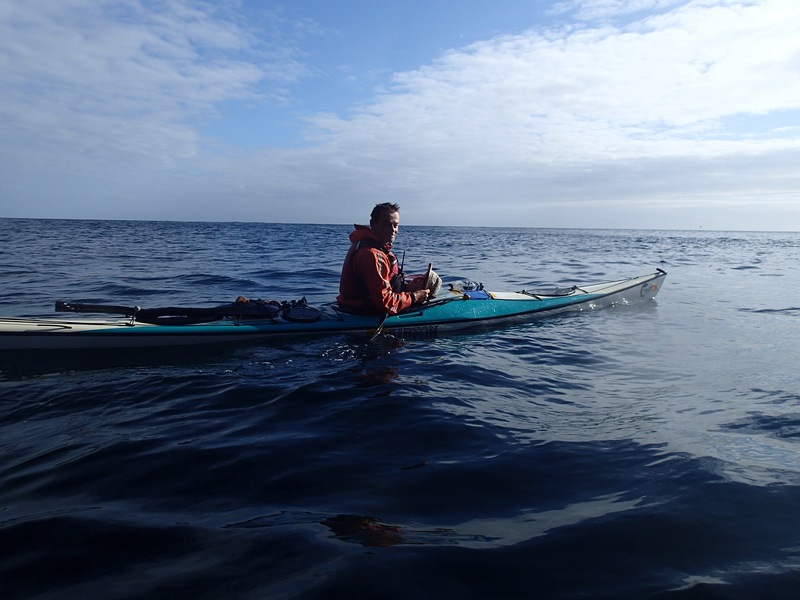 Feeling a little emotional to be finishing this incredible adventure, we paddled the 31 miles in a ‘oner’ and pulled into Rosslare fishing harbour at 12.15pm. Geoff and I climbed out of our boats gave each other a big hug and opened a bottle of Proseco. 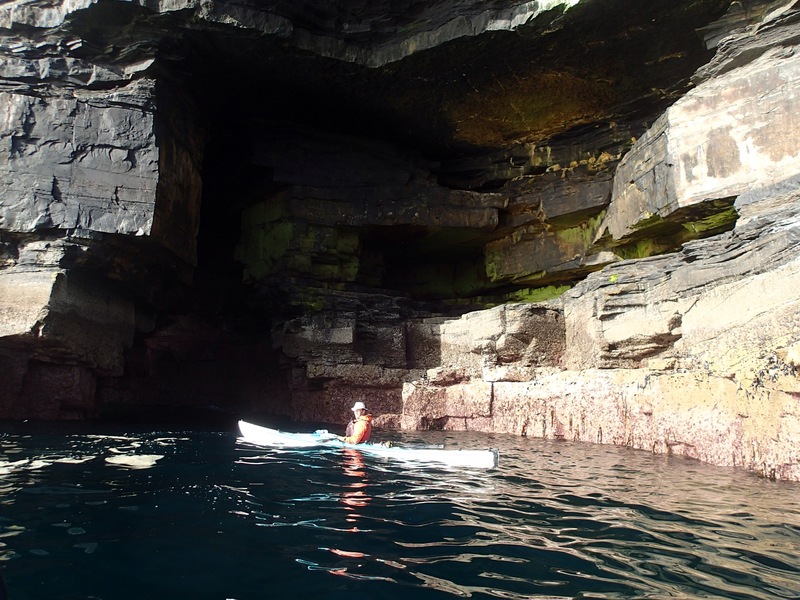 We feel incredibly privileged to have been able to paddle round this amazing country. We have seen incredible wildlife and scenary, experienced some exhilarating conditions and met some wonderful people. Thank you Ireland! Thank you to all those that have helped and supported us along the way or made donations to our charities – can’t mention you all but special thanks to the gang at Seakayaking Cornwall for all your support and advice. And of course a special thank you to our wives Sue and Tanya for putting up with our crazy adventures. Can’t wait to see you tomorrow! Eeking out a few more miles this evening in awful conditions to give us a chance of finishing Sunday. We left Arklow at 7pm and managed 10 miles before we decided to pull over in fading light just after 10pm. 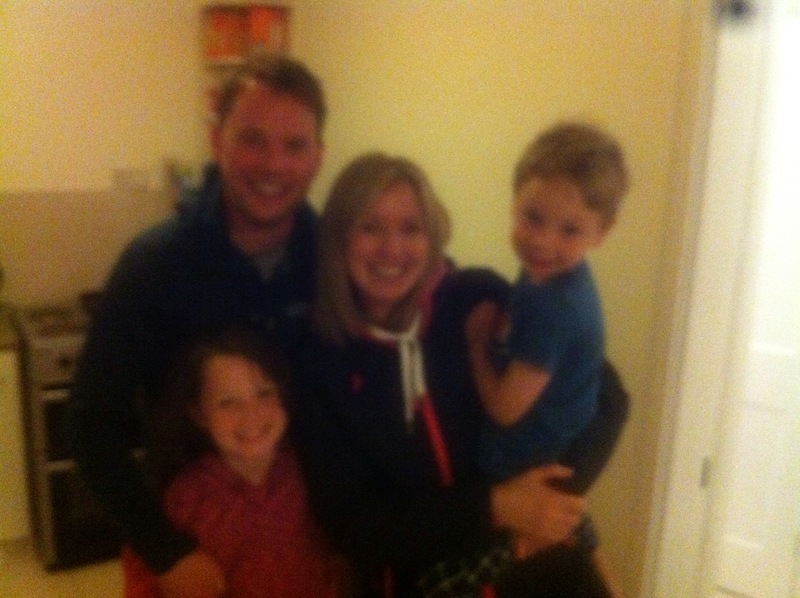 Another battering by the wind but then the Manigo family at Ballymoney came to the rescue and invited us in and made us tea and sausage sandwiches at midnight! How amazing is that. Was a perfect way to spend our last night of the expedition. Such a lovely family. Thanks guys! Hope we didn’t leave too much sea water behind on your floor. Tomorrow we have 30 miles to finish. A big thank you to Toby, Ruby. Alex, Jess and Pickle, Tim and Pip, and Maggie for your very generous donations! It is 10.30pm and I’m in my tent. What’s that I hear? – Absolutely nothing. The winds have died down for what must be, the first time in a couple of weeks. Today out on the water Geoff and I noticed a marked increase in the warmth of the air that the southerly wind has brought in. Maybe summer has arrived. The last few days we have had very strong tailwinds and we’ve managed to make some decent progress. Last night we spent on Aranmore and today we’re in Portnablagh. Tomorrow we’ll be round Malin Head and just beginning to make the slow right hand turn to head south again. It will mean the end of the west coast and the Atlantic swell. It has taken us three weeks to negotiate the west coast and it has been the most extraordinary experience that neither of us will forget, but we’re ready for the long push home now. We’ve covered 630 miles so far and think we have around 330 to go. No dramatic sea stories today, sorry about that – although my Mum may be relieved! Thank you Pauline for your very generous donation to our charities. We’ll be in touch when we get back. 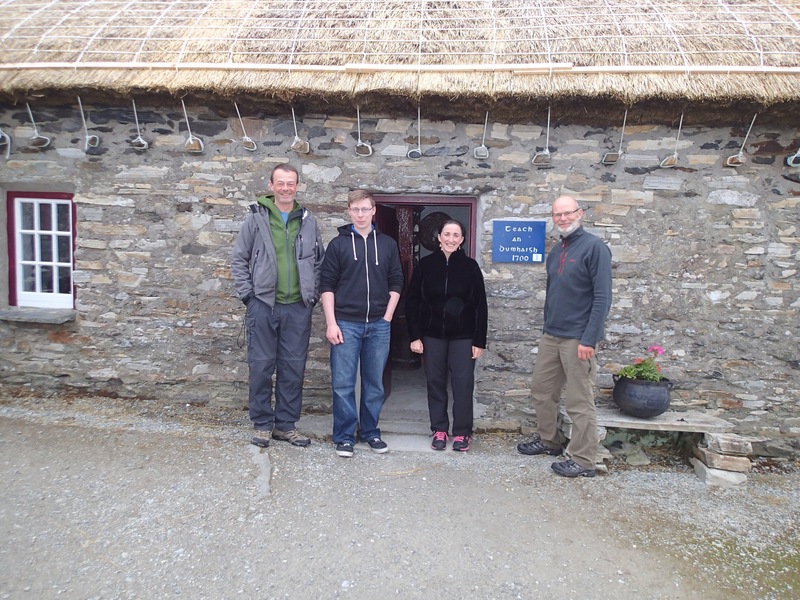 Some photos from Glencolmcille where we stayed a couple of nights ago and where we met Margaret, Margaret and Kevin from the Folk Village Museum – such a fascinating place which will need another visit one day soon. Yesterday morning we woke to the sound of rain on our tents. Never a great way to start the day. The dilemma is whether to crack on and pack everything away wet, knowing you’ll be climbing into a wet tent the following evening, or to wait for it to pass and then be late on the water. We compromised and cooked breakfast (porridge) in the rain but packed the tents up when it stopped. We were away for 7.45am, but not before we chatted to some of the local fishermen heading out in their currachs and got their take on the weather. 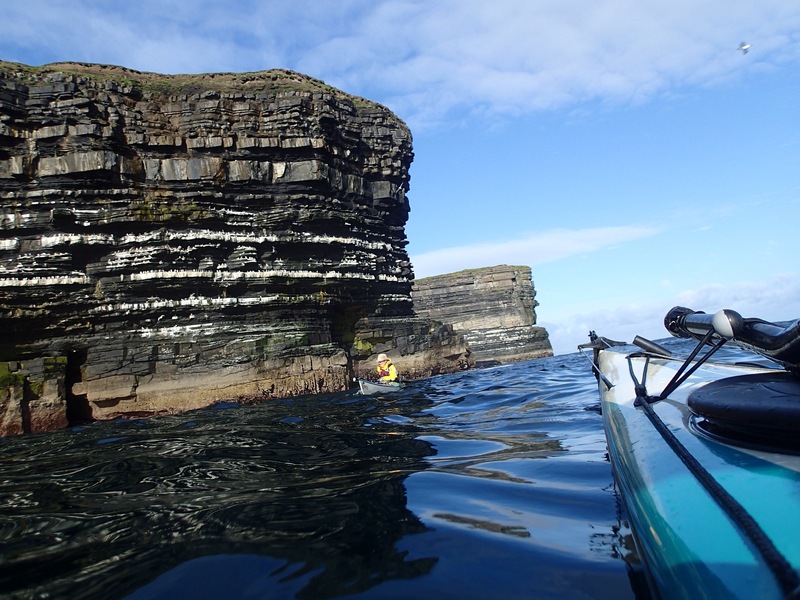 As we paddled out to Downpatrick Head the sun came out and warmed our cold hands. All was good with the world again. The transition, getting off the water and settled, or packing up again in the morning and climbing into wet gear, is the hardest part of the day we find. As if to reward us for getting up and away on time, we met two basking sharks in the bay. One must have been 5m long. Just amazing. We said before this trip that it was one thing we would love to see and now that’s our third. We crossed Killala Bay and headed for Easky where we stopped for provisions and made some soup for lunch. The wind was picking up F5 gusting F6 but still in our favour so we made the call to push on and cross Sligo Bay and towards the Island of Inishmurray. That would mean we would finish the day having started the crossing of Donegal Bay. 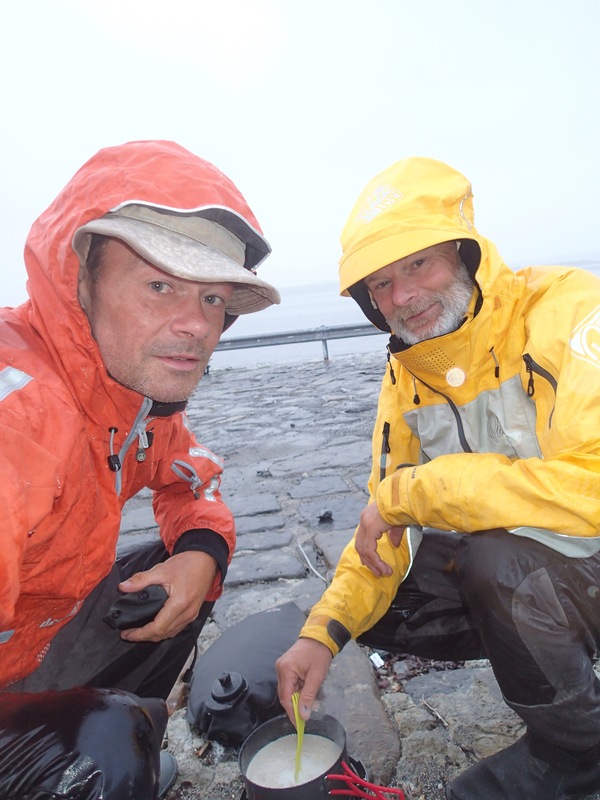 Three miles into the fifteen mile crossing the wind gusts were now strengthening – F7 were now common. The swell was picking up but in the main it was wind chop. 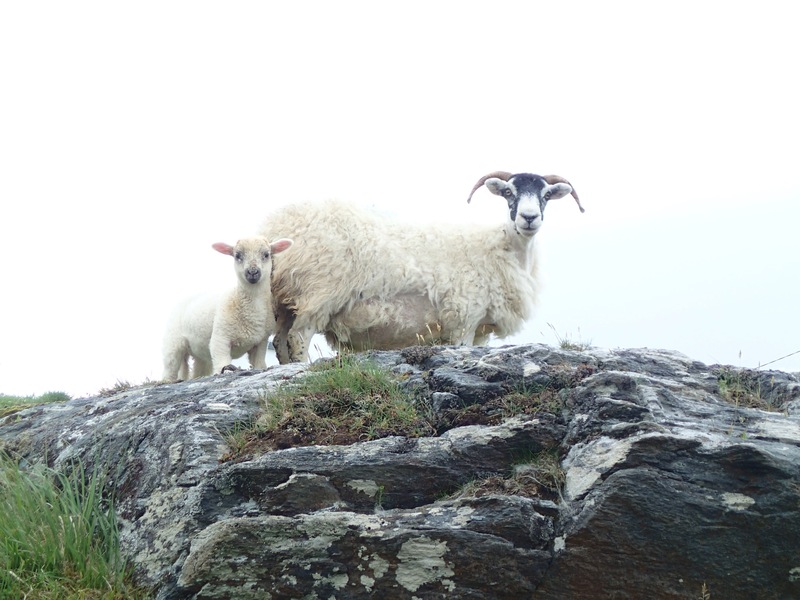 We had set off on a bearing as Inishmurray is low lying and we couldn’t see it from the start. Indeed it wouldn’t appear for another three miles. 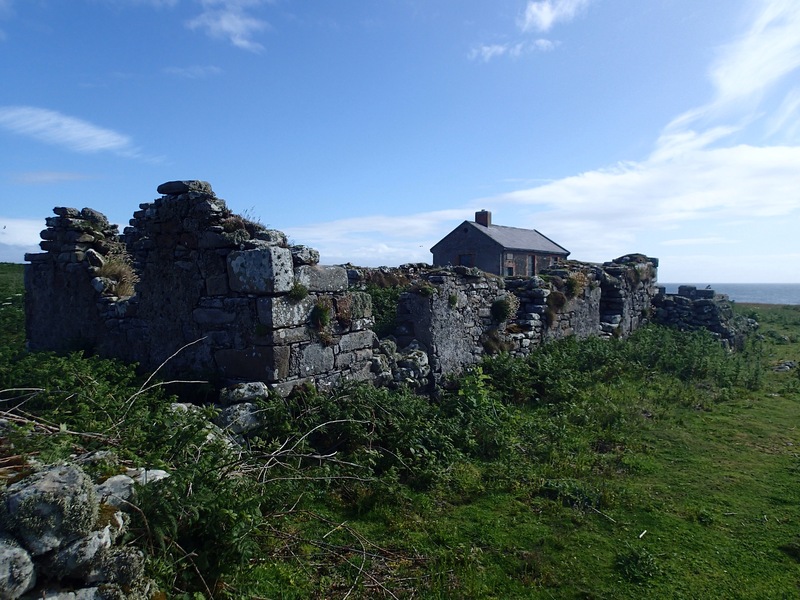 As we approached the Island we could start to make out the ruins of the old settlement and monastery. The jetty we were aiming for was at the ‘sheltered’ east end of the Island. The wind was now a constant F7 gusting F8 and the sea getting a little lively. We could see the jetty, it looked short. We both hoped it would provide enough shelter from the southwesterly wind and waves. As we rounded the end of the jetty, we realised the water was also low exposing some enormous rocks. It was clearly only a useful landing spot at high water. This was going to be difficult. Controlling an 18 foot kayak that weighs 80kgs, fully loaded in swell, strong winds and around rocks, is pretty difficult. We decided to take a closer look and see if we could pull alongside the rocks and clamber out for a short swim and haul the boats out. It wasn’t going to happen. The initial haul out would have been too high and the risk of injury to us or the boats too great. We decided to paddle round to the leeward side of the Island and take a look there. The swell was now wrapping all the way round the Island but there was an area of calm water. Unfortunately the landing was to be on boulders the size of fridges. Perfect boat and ankle breaking territory. We had no choice. We climbed out of the kayaks and waded the last few feet up to our waists so we could control landing the kayaks on the rocks. We managed to get both out of the water balanced precariously. The plan was to empty the kit out and then come back for the kayaks. It was then we spotted the nesting sites above us. There were chicks moving around the top of the foreshore. We couldn’t risk disturbing them so there was nothing for it but to paddle the kayaks back against the wind and return to the jetty. We left some of the kit on the beach to make them lighter and easier to handle. Same as before we managed to get alongside the rocks by the jetty, get out and swim the kayaks in. All the time the wind and waves were buffeting us. A broken boat (or body) would have been the end of the expedition – as well as a difficult evacuation from an uninhabited island! Fortunately, with a little less gel coat than they had that morning we landed the boats. Geoff and I suffered no more than bruises. It took us a further hour to retrieve our kit from the other side of the Island and then pitch our tents before the wind picked up even more. That night we were buffeted by gale force winds, but as ever, you always feel safe and cosy in your tent and very satisfied to have paddled 36 miles given the conditions. Whether we could get off the Island in the morning given the conditions would be another matter……we had figured we could be ‘comfortable’ for three days before food started running out. 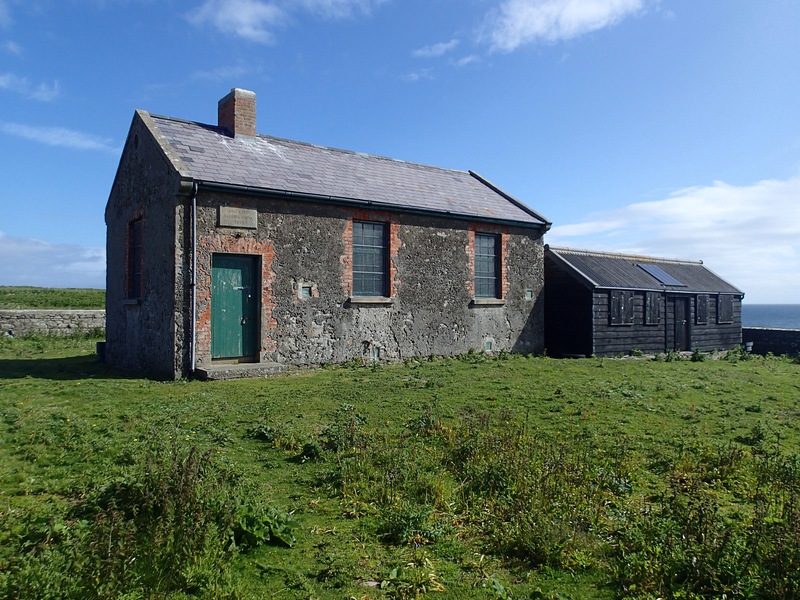 Day 26 – in the end, this morning the sun was shining on our little camp in the playground of the old school on Inishmurray, and the wind had dropped a notch. We had a chance to see what a stunning place this is, and appreciate just how tough a life it must have been to live on this Island. Given the previous day’s exploits it was a late start. It was a complicated, but safe launch in the end and it was good to be on our way again. 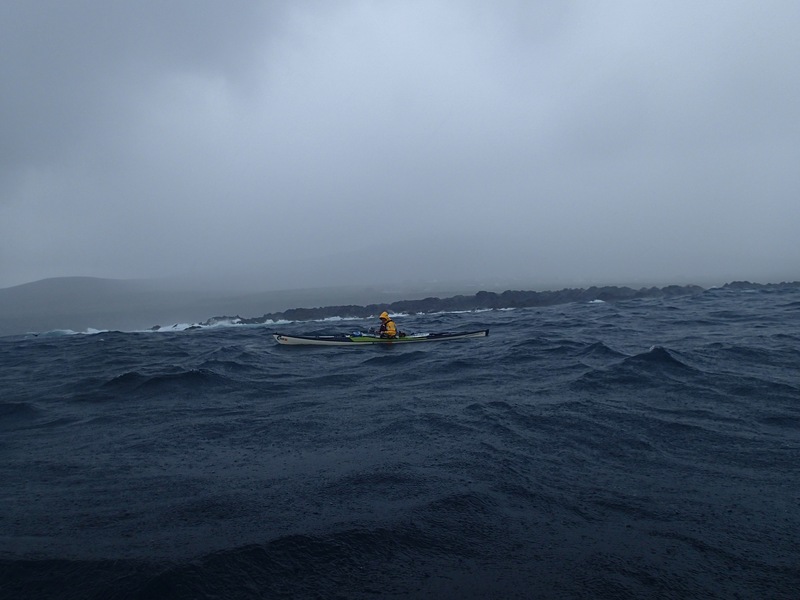 The 25 mile paddle today, north towards Malin Beg and the village of Glencollumkille, saw easily the biggest seas we have had on the trip so far. The early morning sunshine soon left us and we faced regular squally showers bringing a stiff F7 wind. The westerlies over the last few days have built the Atlantic swell up too. Whilst officially only 2.8m, over shallower ground we were experiencing steep swell around 5m or 6m regularly. But we were making decent progress and we seem to be handling the conditions comfortably. Our C Trek boats seem to ooze confidence in this sort of sea. 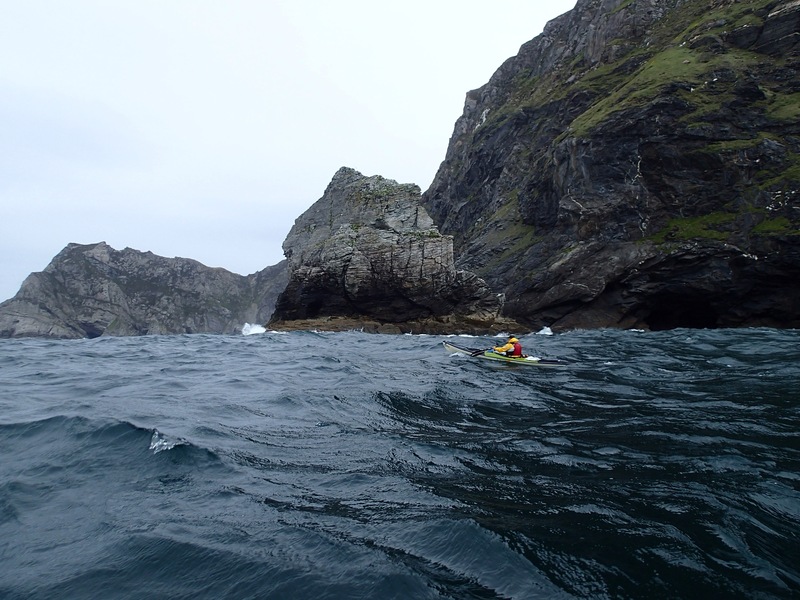 We landed in Glencollumkille, Donegal, stored the kayaks above the high tide zone and managed to find a nearby B&B. We needed a shower and to be inside for a few hours. 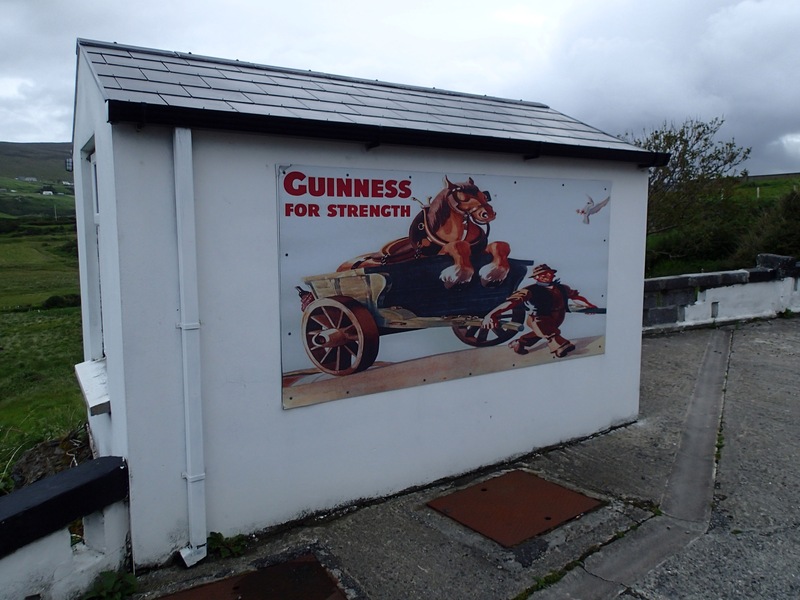 The next few day should see us round the top and heading south towards Rosslare. Thank you Carol for your very generous donation for our charities!